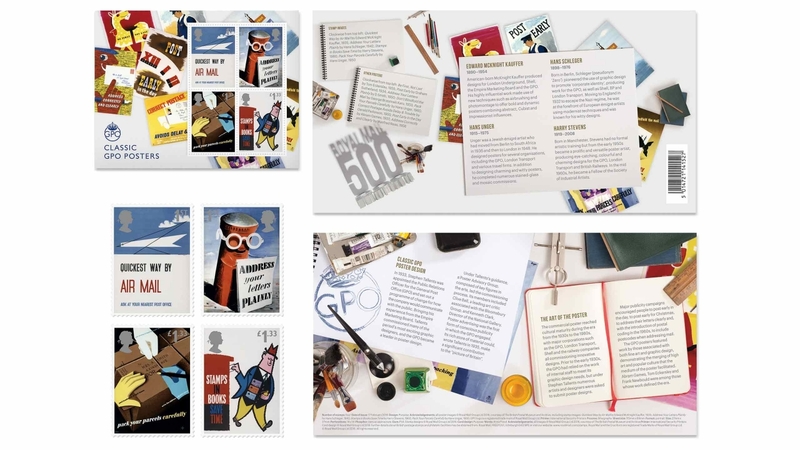 This year, Royal Mail celebrates 500 years of operating a regular, organised postal service and are proud to mark their quincentenary by telling the story of how a formal postal network was established. 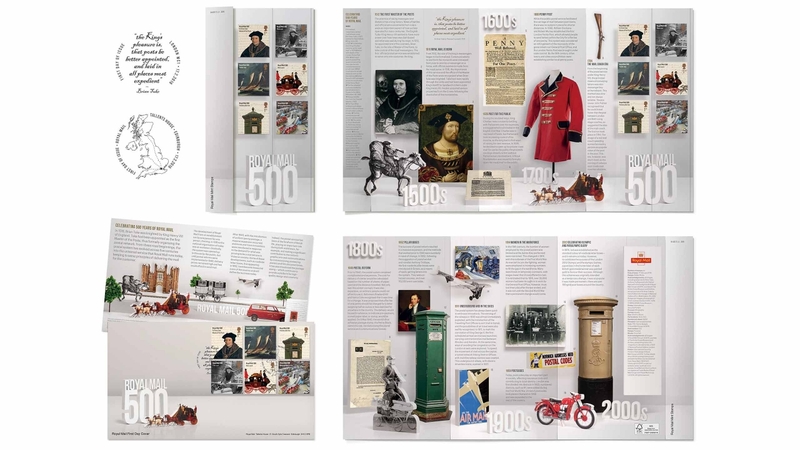 Key milestones and developments, depicting the achievements of the great postal pioneers and reformers are featured, showing how the postal system has evolved over the last five centuries into the nation-wide service that Royal Mail runs today. Purpose designed the miniature sheet and mini sheet holding card, presentation pack, cancellation stamps, envelope and filler card to support the six commemorative Special Stamps (designed by Atelier Works). These are all now available to buy from the Royal Mail online shop.